The Negros Museum presents “Identity 1” of artist Jun-Jun Sta. Ana from September 9 to October 9, 2011. The exhibit will open September 9 at 9:30am at the Negros Museum. Sta. 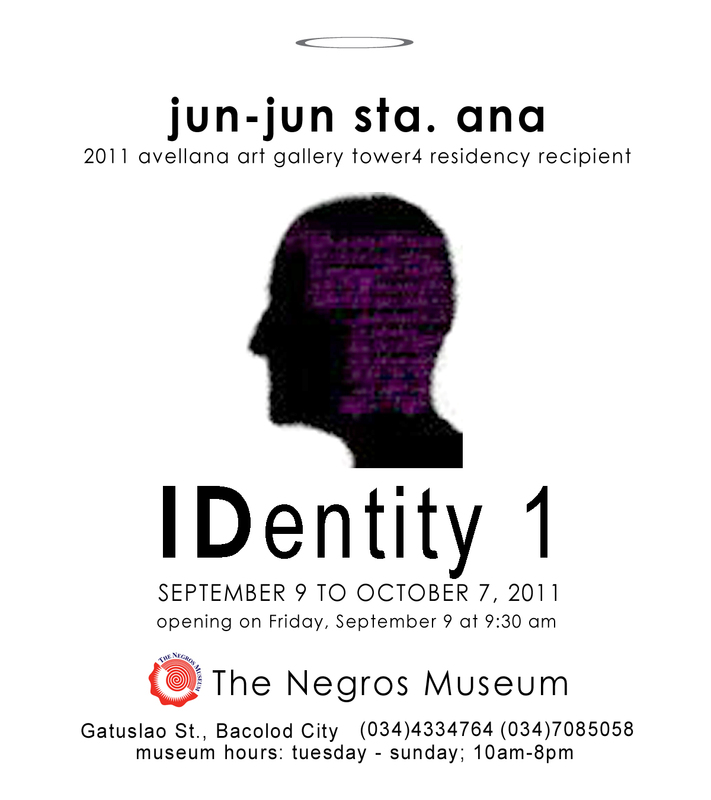 Ana is a Chicago-based artist who has exhibited in different galleries and museums in the Philippines such as the Vargas Museum-University of the Philippines, Intercontinental Hotel in Makati, Avellana Art Gallery in Pasay City and here in Negros at Balay ni Tana Dicang’s Capitana Gallery. The artist also had exhibitions all over the United States and Russia. For these past few years, he has exhibited at the Los Angeles Center for Digital Art, Chicago Cultural Center, Brooklyn Academy of Music in New York, Koltsovo Airport in Yekaterinberg, Russia, and at the Philippine Consulate in Chicago Illinois.